Also former 2 x Britain Natural Strongest Man, 2 x Midlands strongest man and the 1st ever to deadlift 400kgs and owner of FIT3SIXTY John Clark makes his boxing debut. John was forced into retirement following a serious knee injury and decided to head over to Trojan Free Fighters Worcester and CG5 Trustee Dan Richards to begin his training and to continue his competitive desire in the form of boxing and eventually MMA. Also featuring on the fightcard is local Trojan Free Fighters competitors Matt Wurmli making his K1 debut, also Brad Heason and Liam Philpot welcome Celtic Pride Fighters from South Wales to Worcester for their Muay Thai bouts. 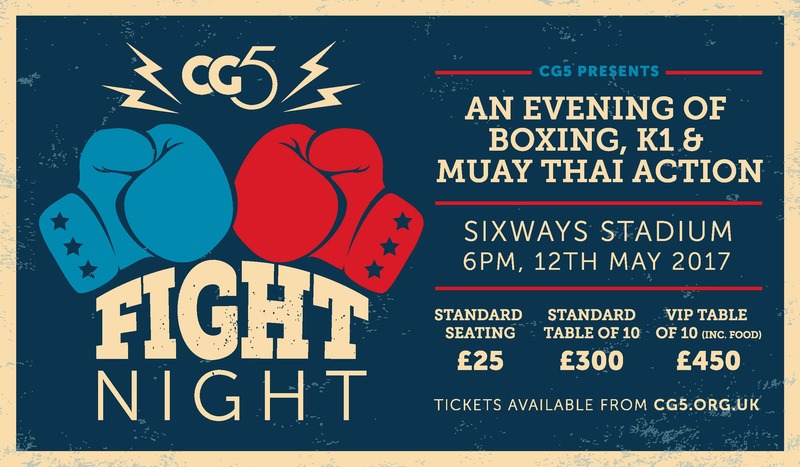 Also returning to CG5 Fight Night Tobias O’Brien in another great Boxing bout.